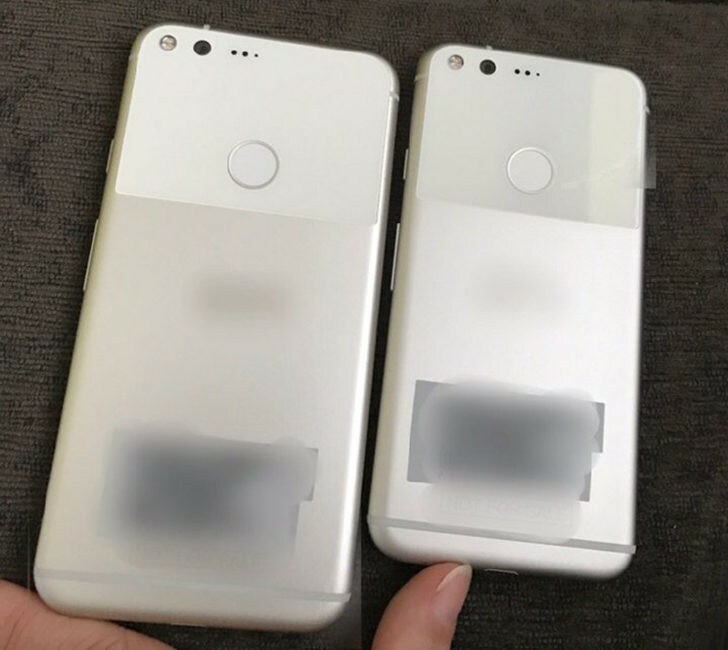 Two images showing what seems to be the 5inch Pixel and 5.5inch Pixel XL has been found on the Internet. The two Pixels are portrayed to have the same aluminium body-build, with a little difference in size. Looking at the picture, the Pixels will pass for an iPhone 6 model, so much alike except for the fingerprint scanner beside the rear camera and of course, the Apple logo. This kind of design has been seen in HTC One A9 too, and this may confirm earlier claim that HTC is the brain behind the Pixel Phones. The suspense is expected to be over on 4th of October.